Pi + Node = Interactive, Internet Connected LED Message Board #piday #raspberrypi @Raspberry_Pi « Adafruit Industries – Makers, hackers, artists, designers and engineers! Board that is powered by a Raspberry Pi using the SPI Bus. The LED Modules I have use the HT1632 chip, so the code could work with some of 16×24 LED displays you have. I also wrapped my C++ code as a Node module, which made it easier to display headlines from the Internet. For a final touch, I turn the Raspberry Pi into an Wifi Access Point, to make it easy for my co-workers to add messages. Anyhow I have spent way to much time fooling around with it and wanted to pass it along so other might get some use from the code and my mistakes. 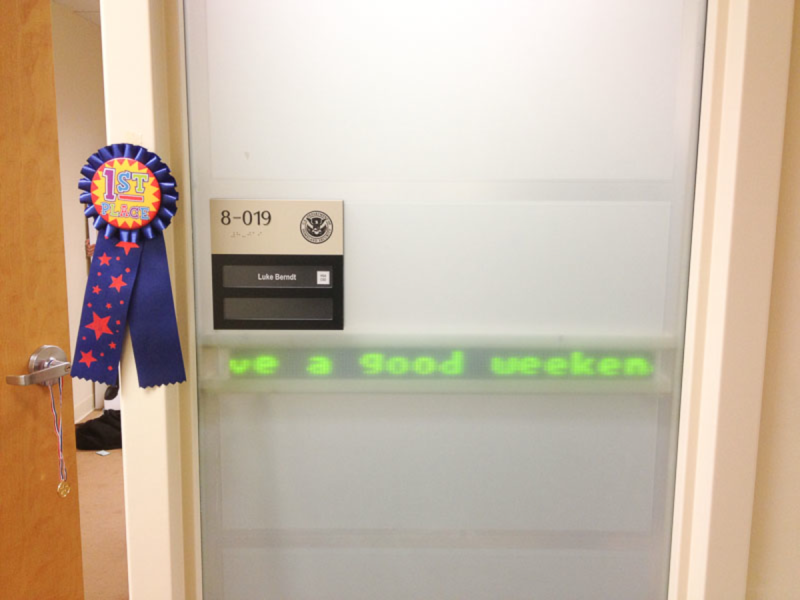 While it is great to have the latest headlines up on your message board, it is even better being able to add in a message about how thankful you are that it is Friday. The final touch for my LED Message Board project was to add in a web page that made it easy to update messages. Of course, giving your friends a way to post Star War jokes on your message board only makes it more fun, so I added a Wifi and used HostAP to make the Raspberry Pi look like an access point. To make it even easier to post, I made the Message Board web page a captive portal. So now all one of my co-workers has to do is try and join the “Message Board” Access Point with their iPhone and they are brought to the webpage that lets them add and delete messages. Finally, since it is all Node based and I wanted to play with Socket.Io, I made the message list update in realtime. Now when new messages are added or the ESPN Headline is updated, everyone viewing the webpage gets to see it change. The Code for this is up here. Check out how I wired/coded everything and created a Node module to write to it. 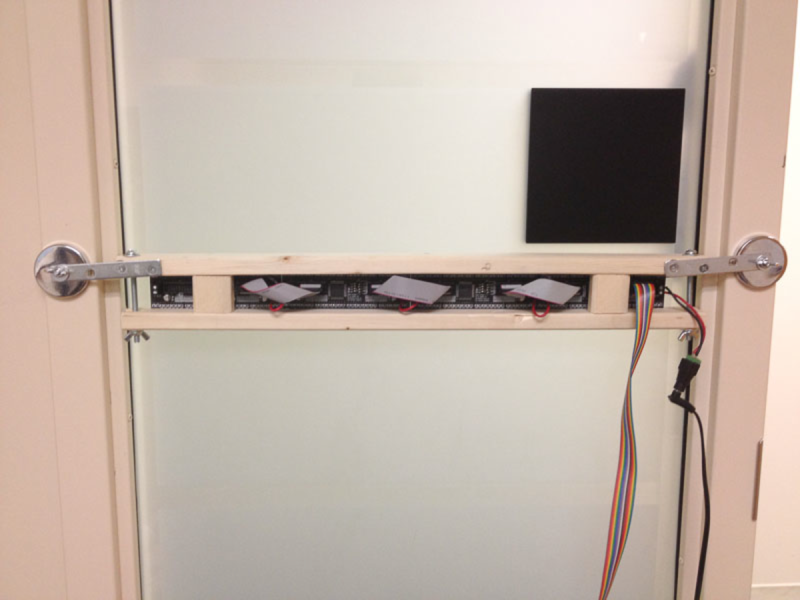 I have the LED Modules mounted in a wooden case that is held in my office door frame using magnets. It is positioned so that it shows through the frosted glass next to my door.